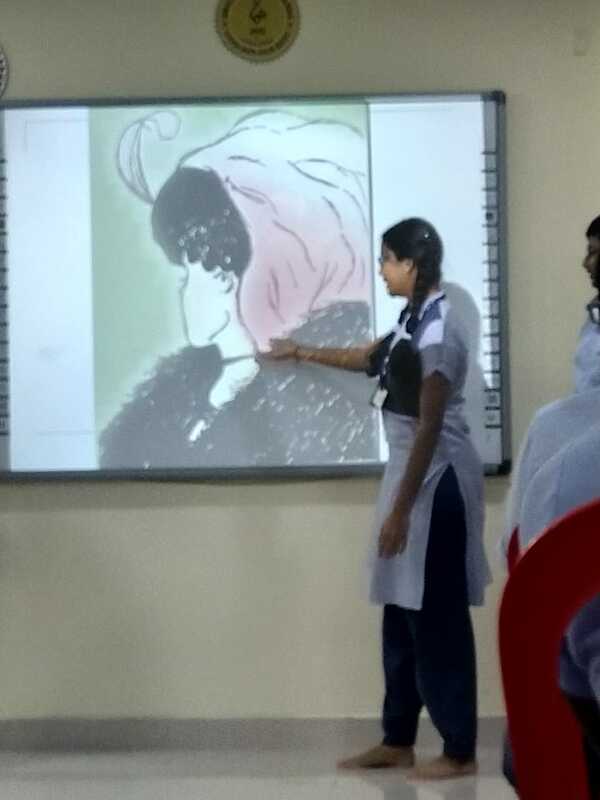 “Character, Intelligence, Strength & Style - makes beauty “. 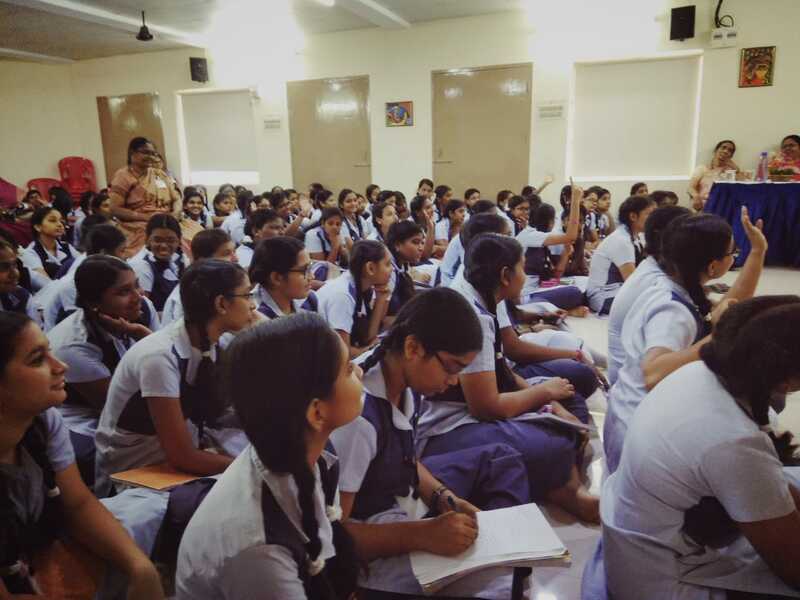 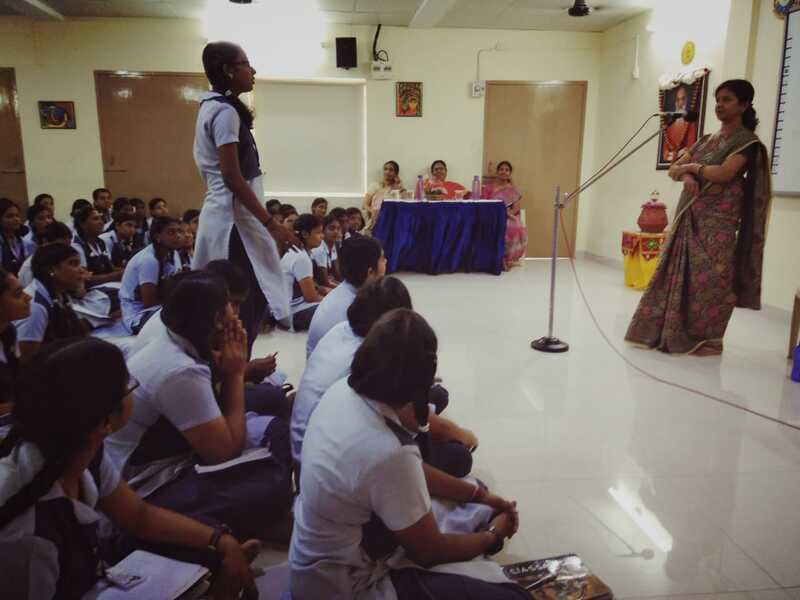 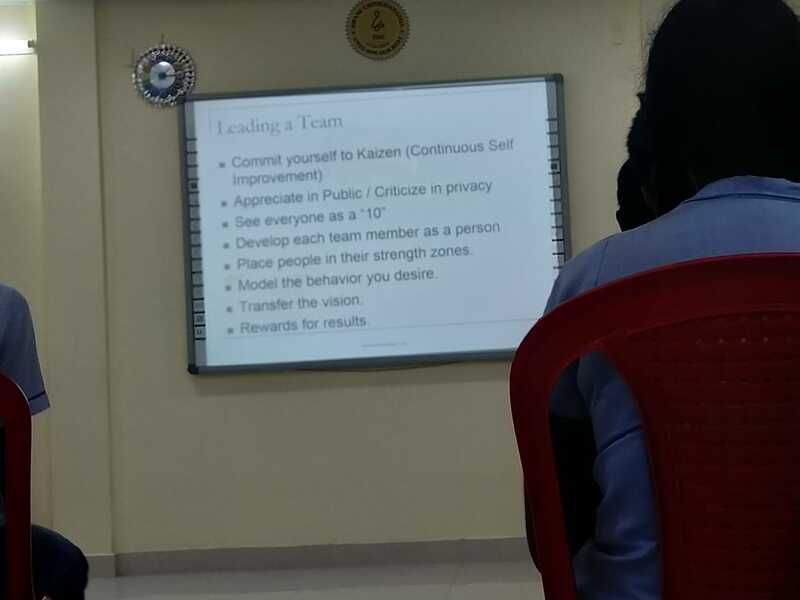 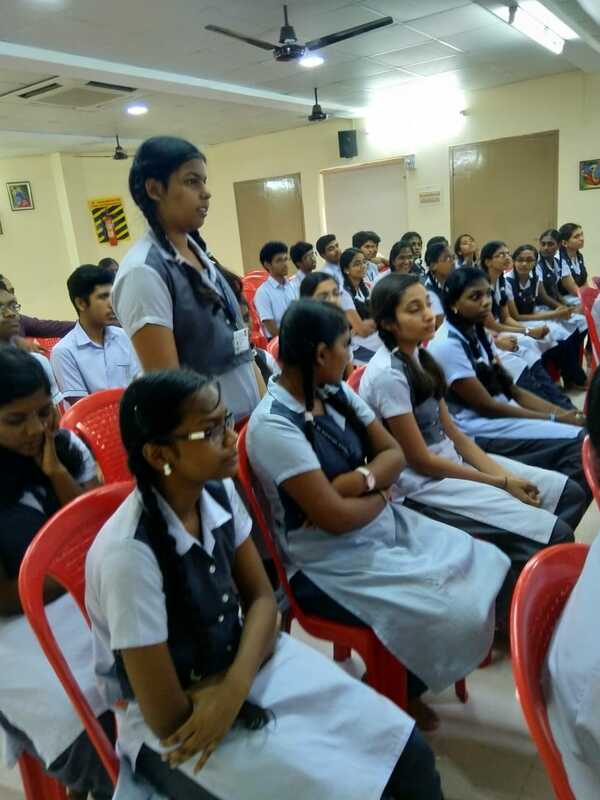 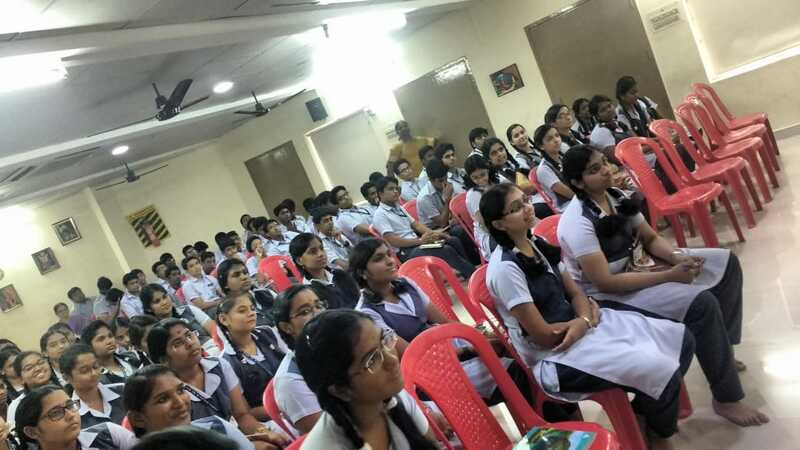 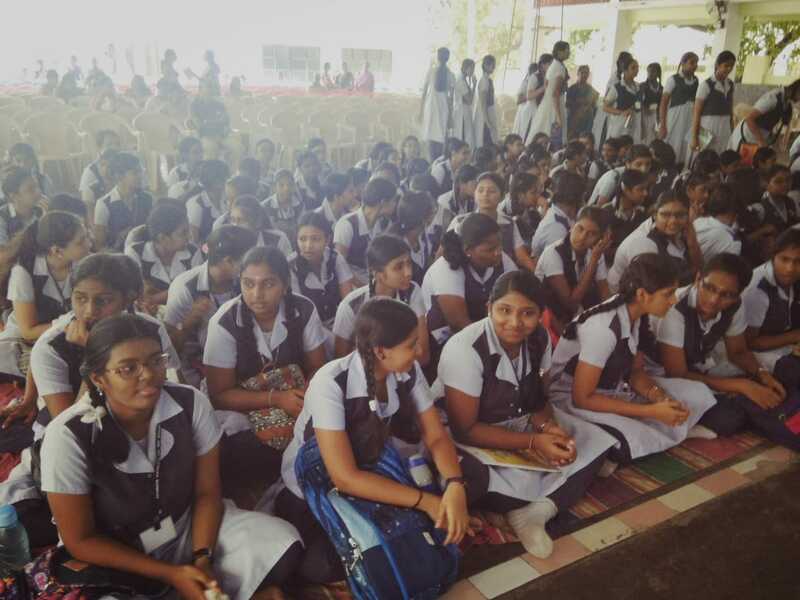 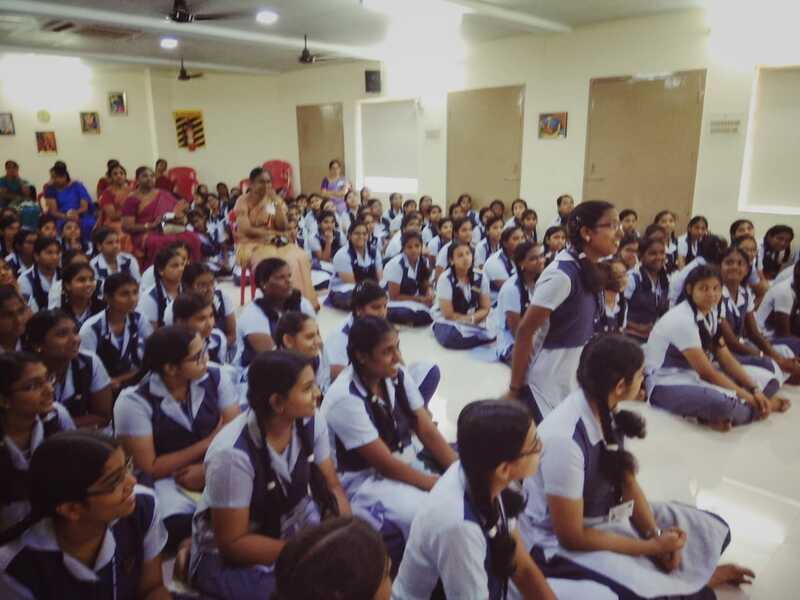 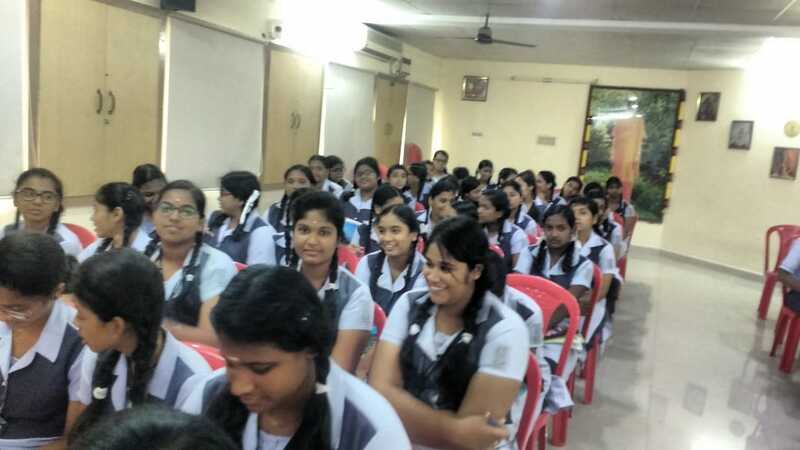 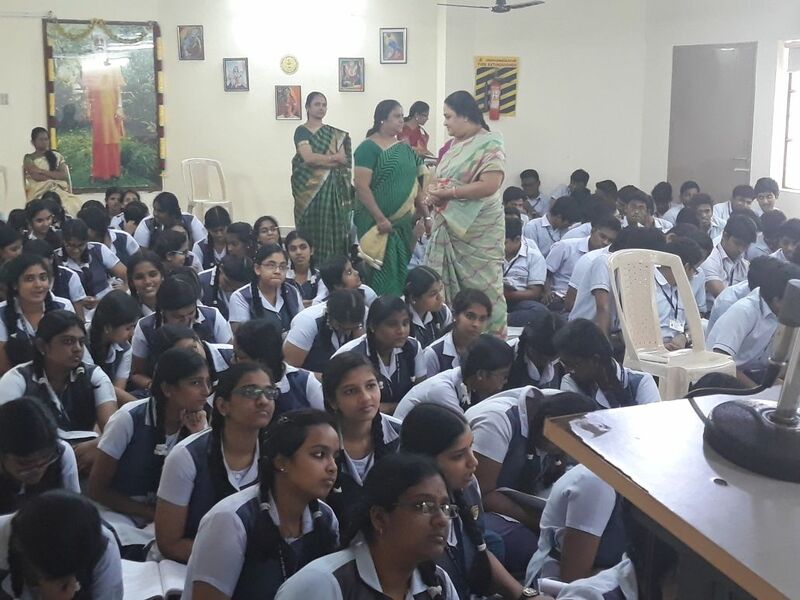 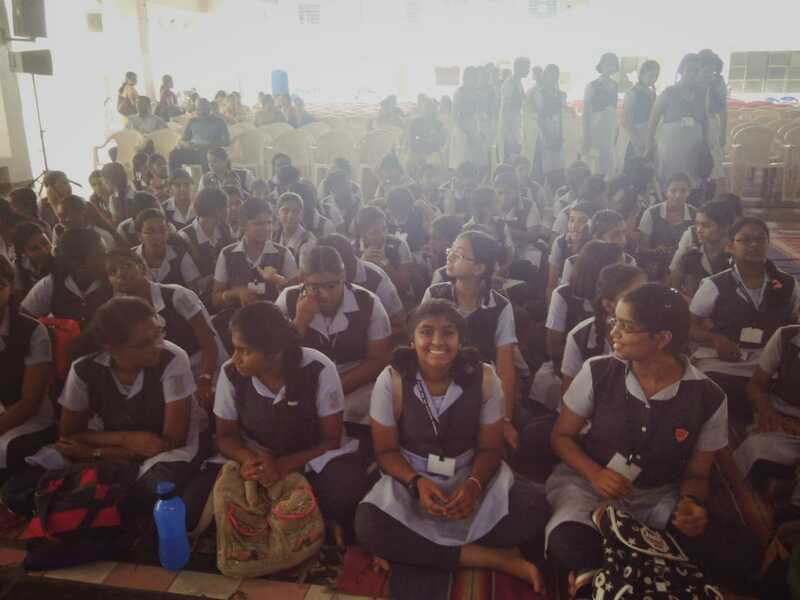 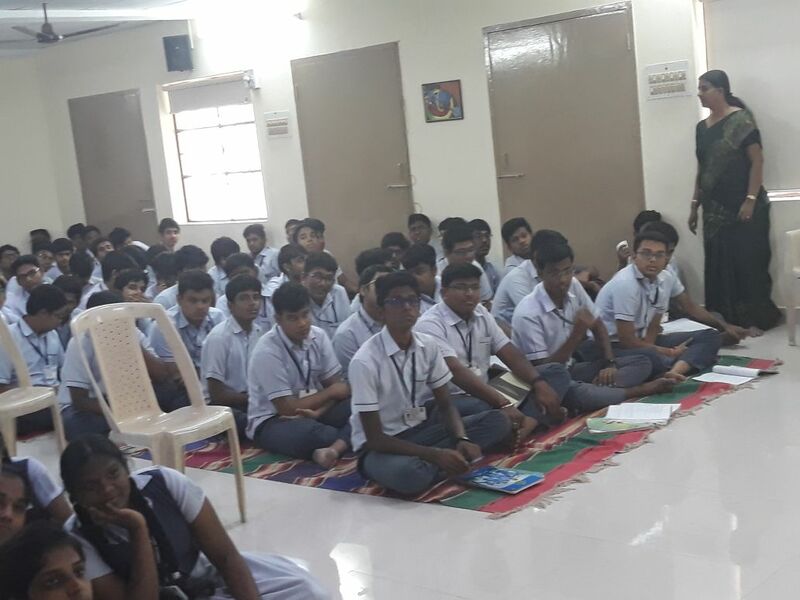 To boost the confidence in girls that “I” , can make a big impact in the society a workshop on life-education covering various modules was organised for the girls of class XI & XII. 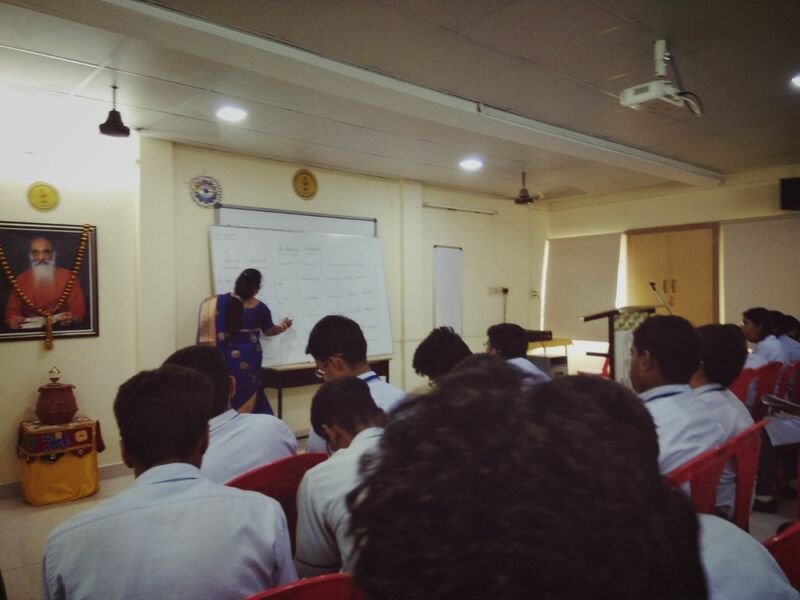 Commerce Dept. 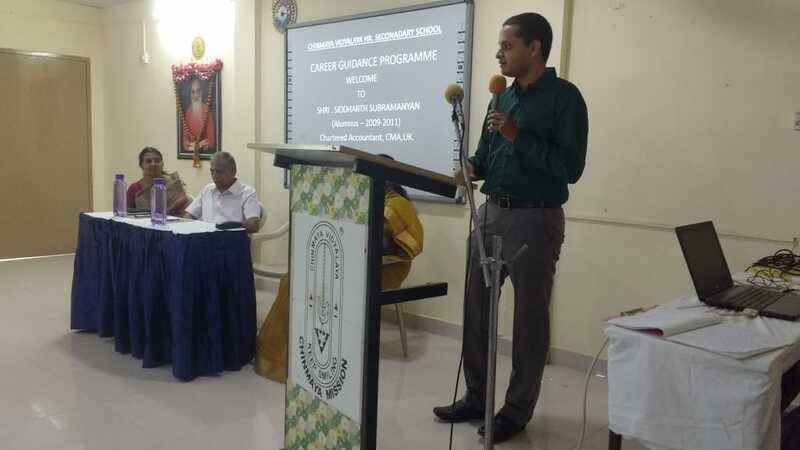 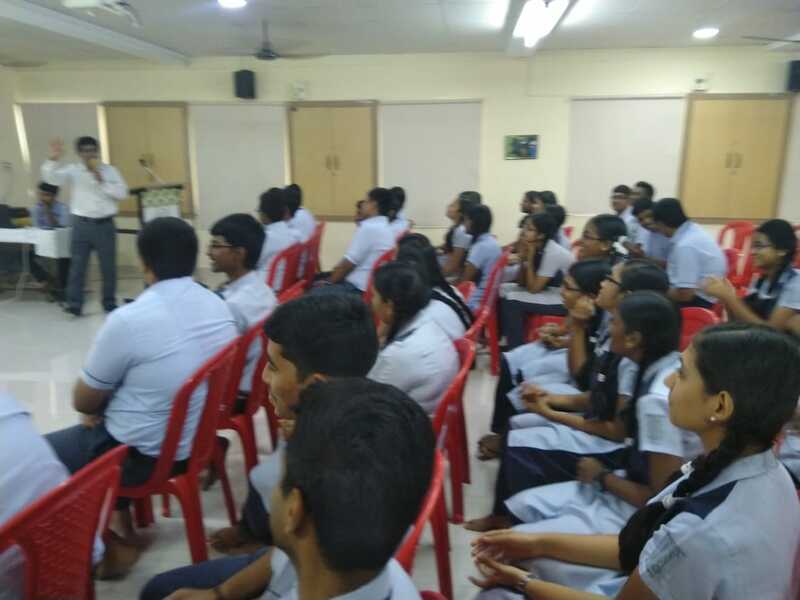 organized a Career Guidance Programme for class XI & XII commerce students on July 12th 2018. 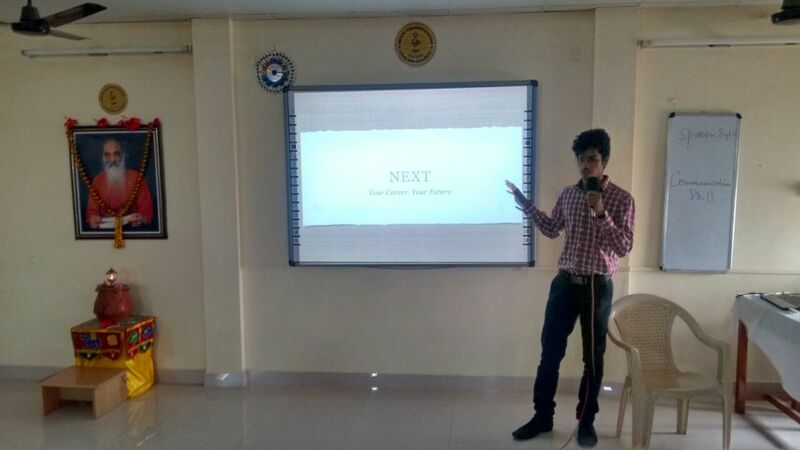 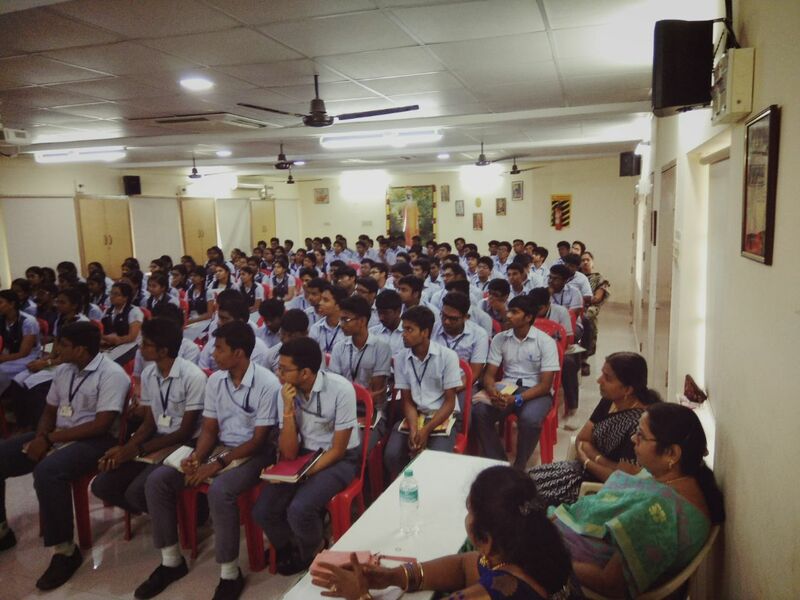 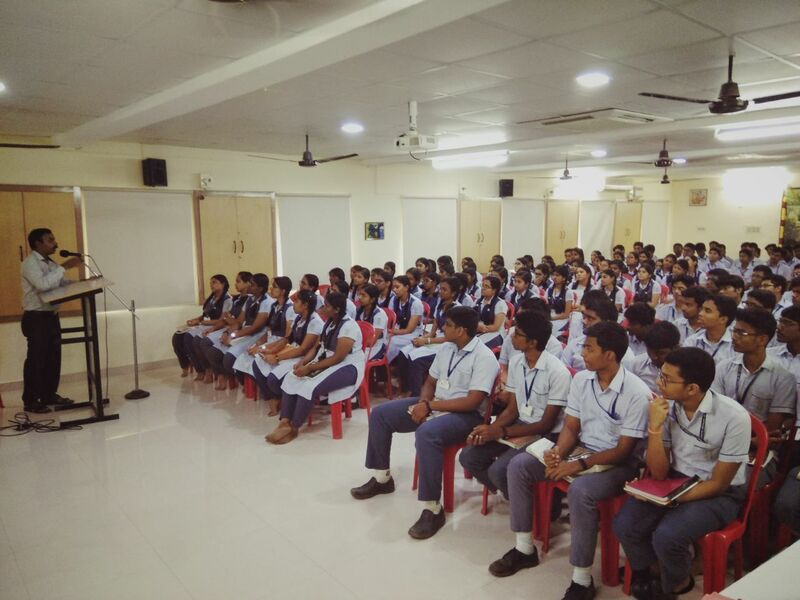 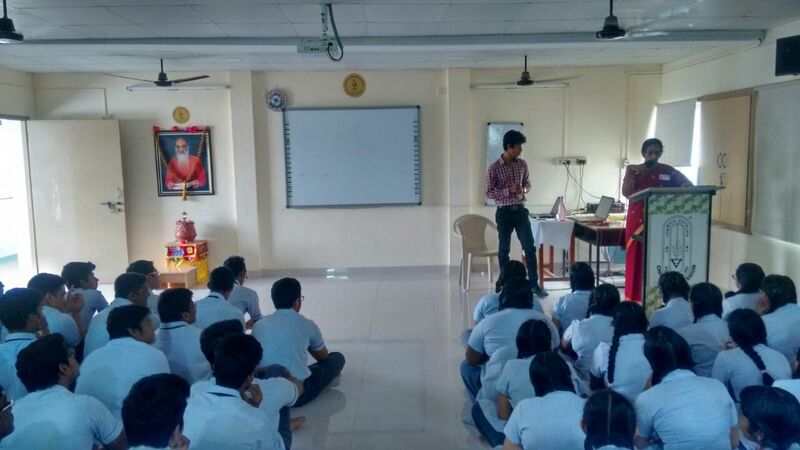 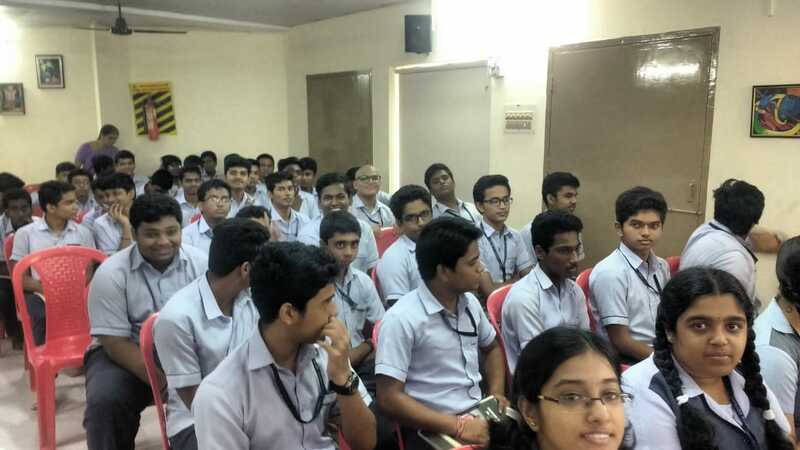 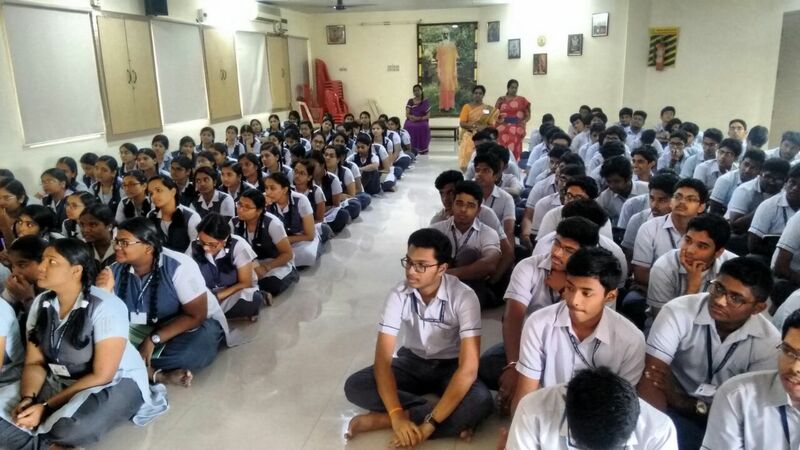 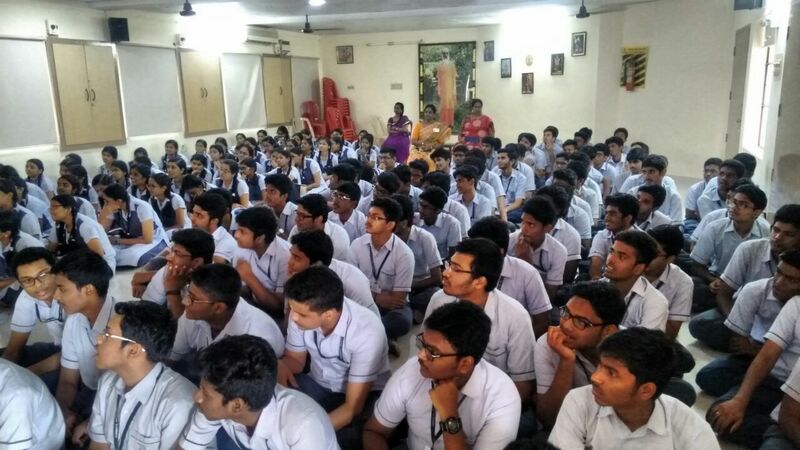 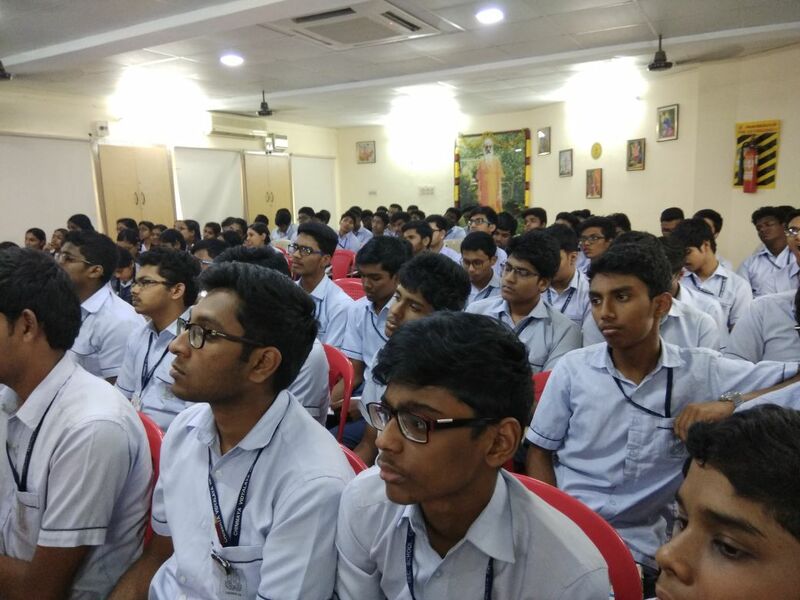 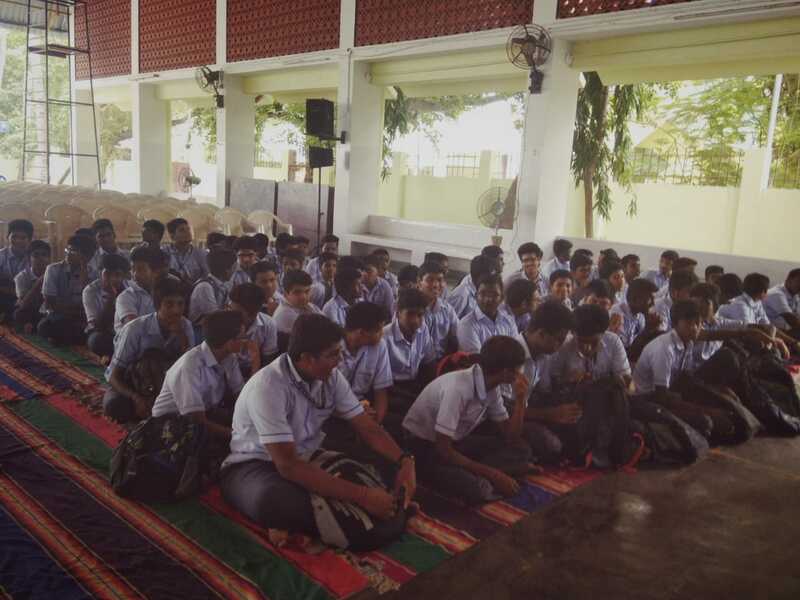 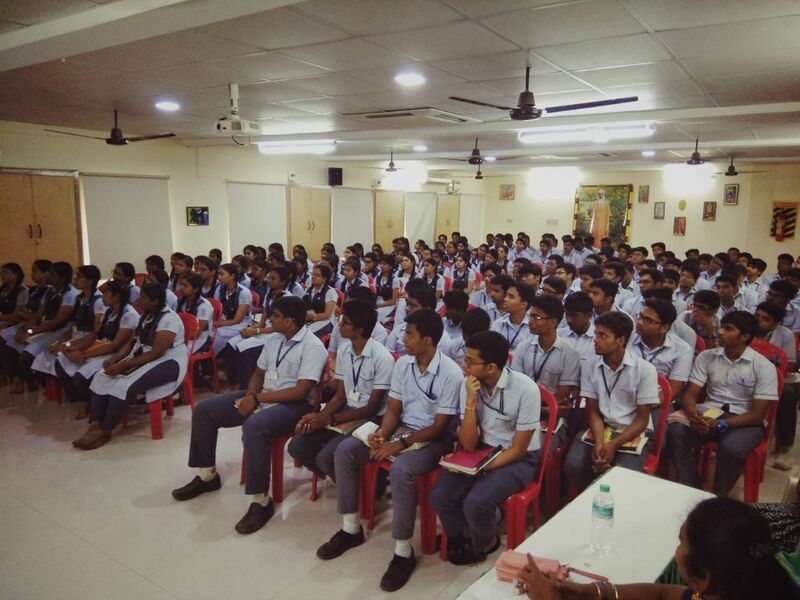 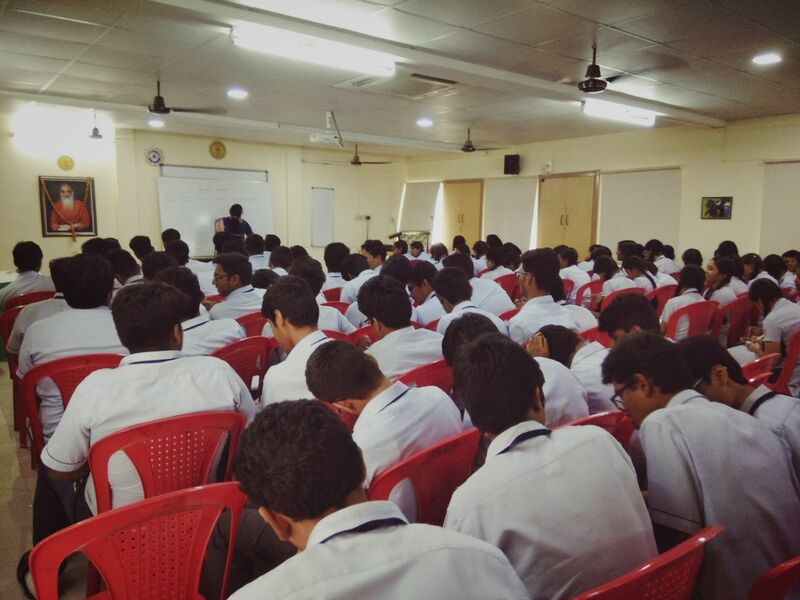 The purpose was to create an awareness to the students about various options available after their XII Std. 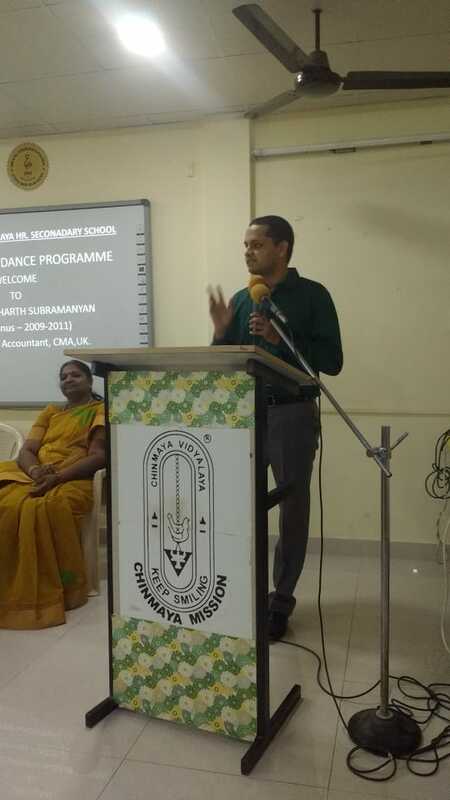 The resource person was our Alumni Siddarth – the youngest one to complete the professional course of CA & CMA. 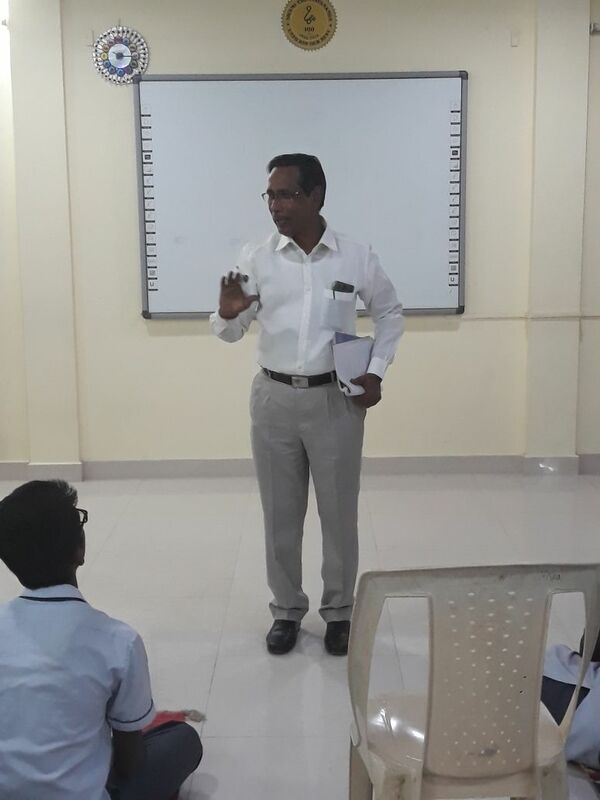 He assured the students to give individual counseling for bettwe career. 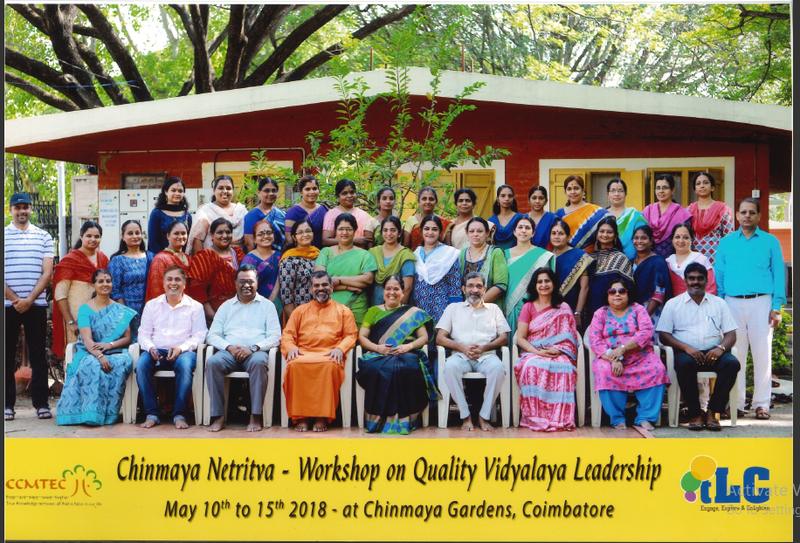 (1) Sisya, or Brahmacarya, (2) Grihastha, (3) Vanaprastha, and (4) Samnyasa. 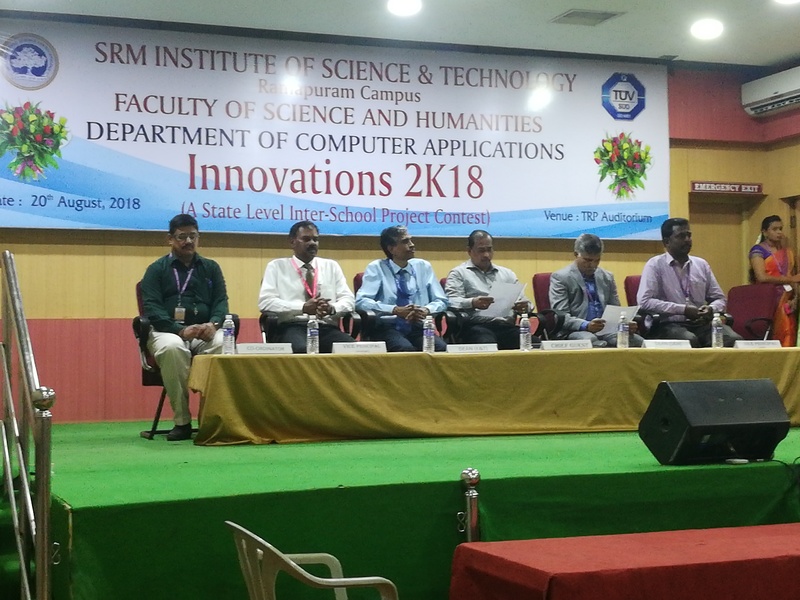 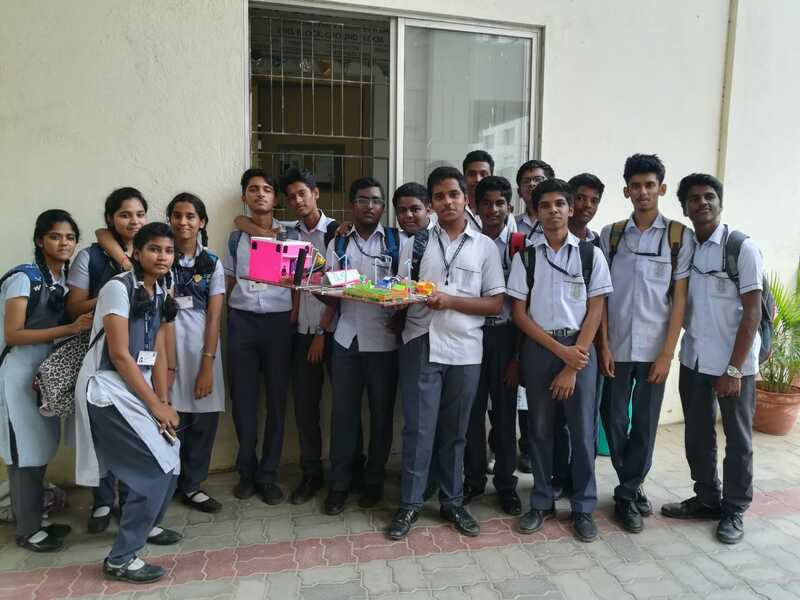 Students of our Vidyalaya had an opportunity to participate in the State level Innovations 2k18 Science Exhibition conducted by SRM university. 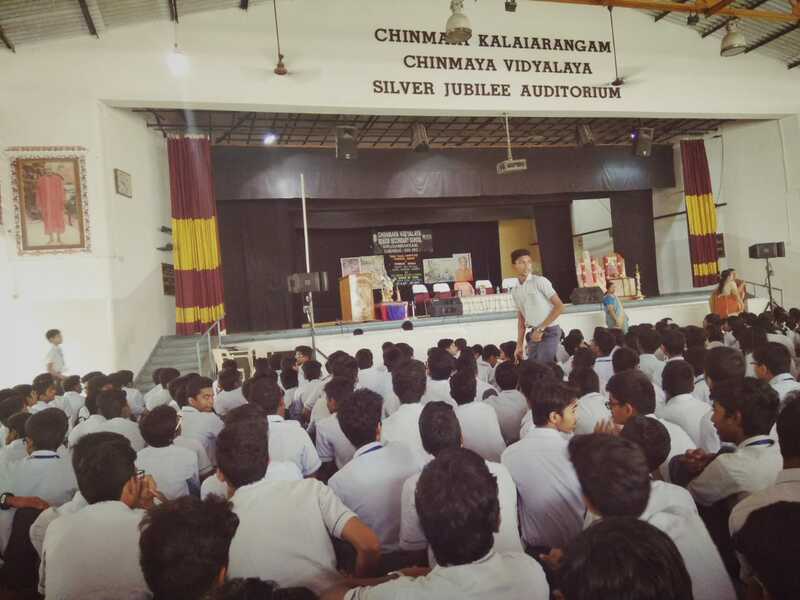 They were the competitors among 30 schools with nearly 200 students. 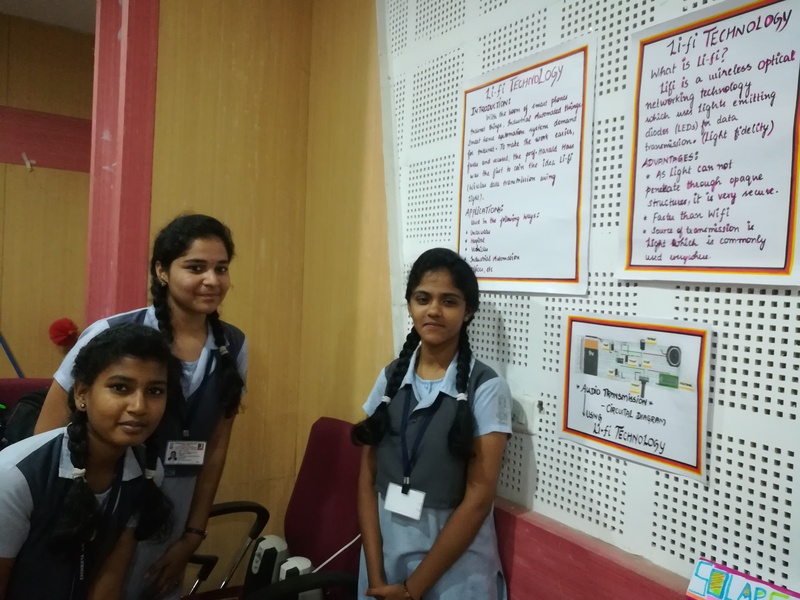 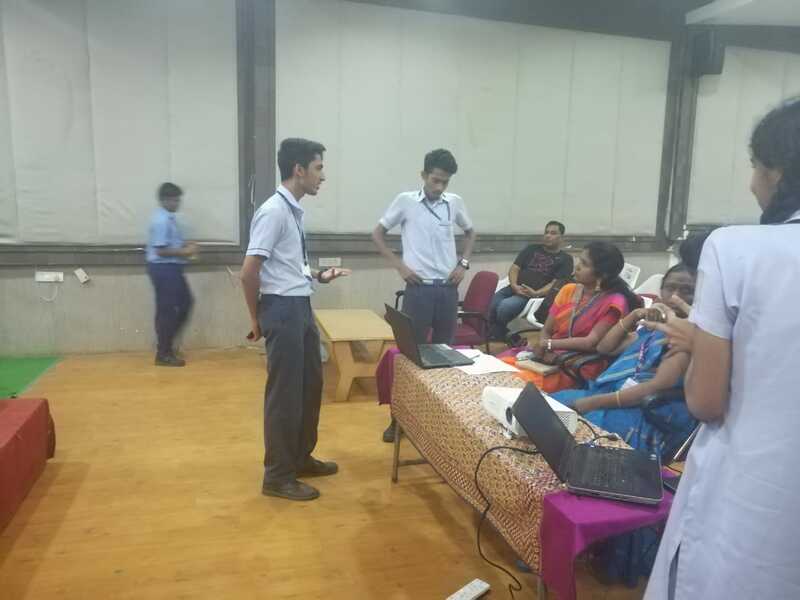 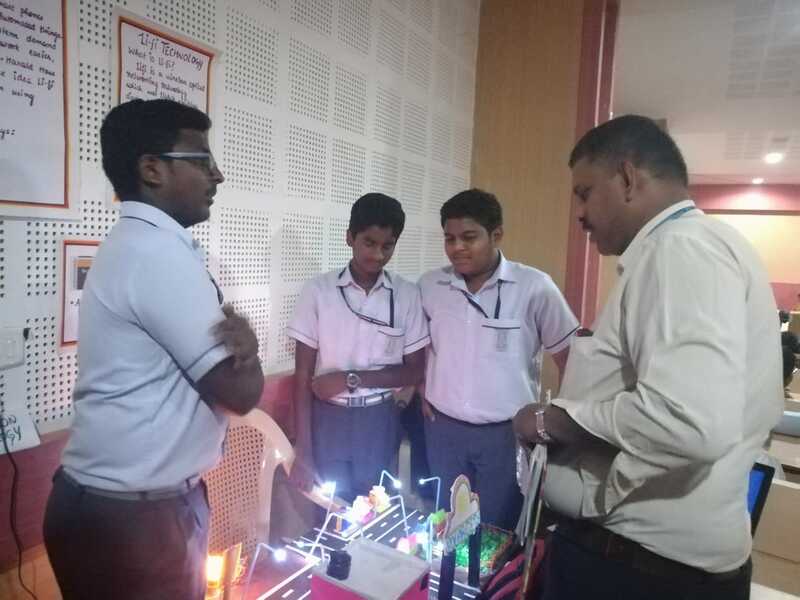 Our students had displayed their exhibits on working models – light, sound transmission through solar, app developed for understanding of mathematical formulas and multimedia design – on the spot creation on the topic my country. 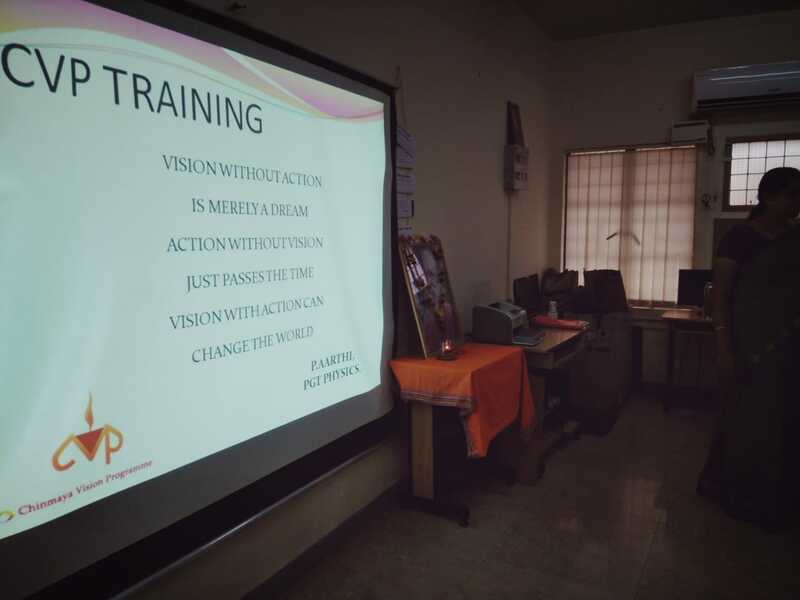 The children were given exposure towards becoming an entrepreneur. 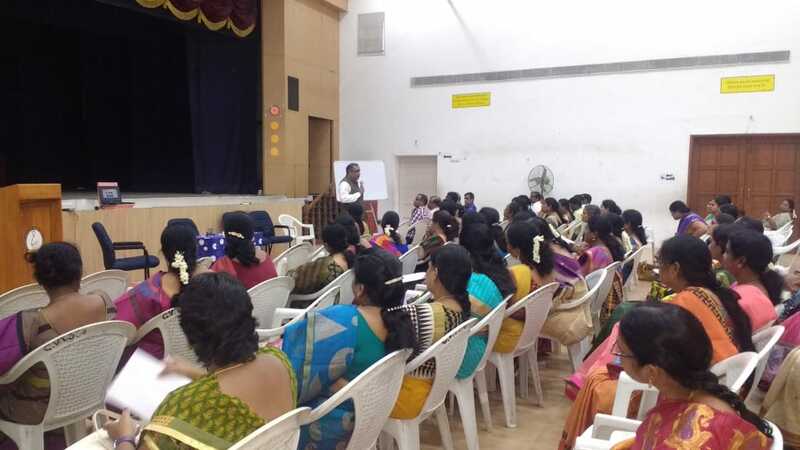 The new staff members and the senior teachers of the vidyalaya were promulgated with the implementation of curriculum through CVP by our CVP Coordinator Smt P Aarthi. 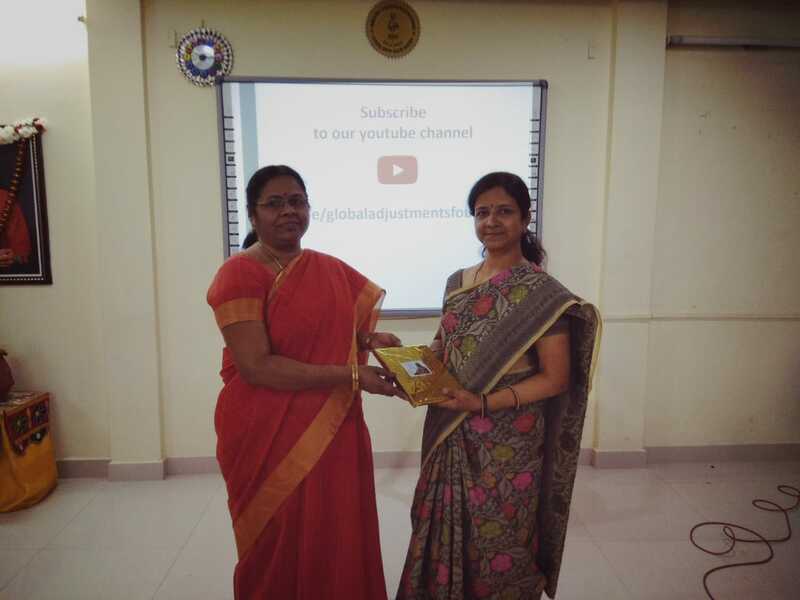 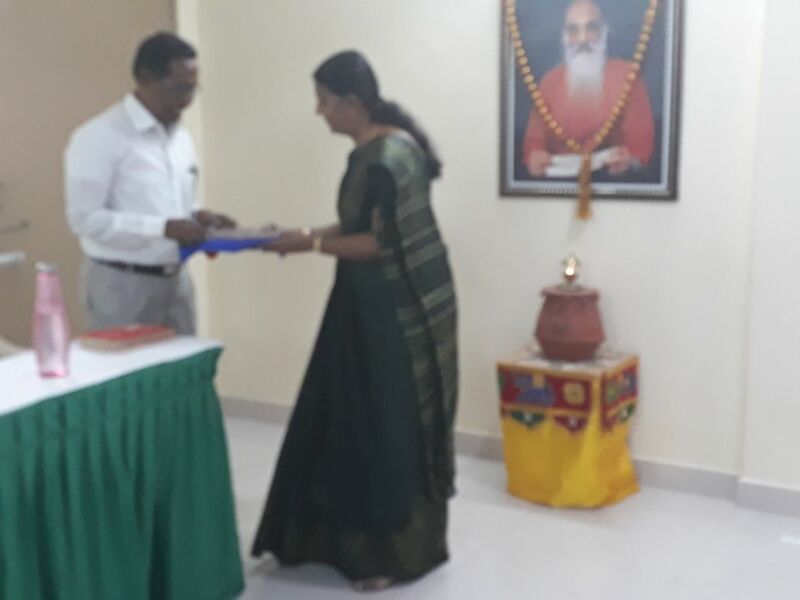 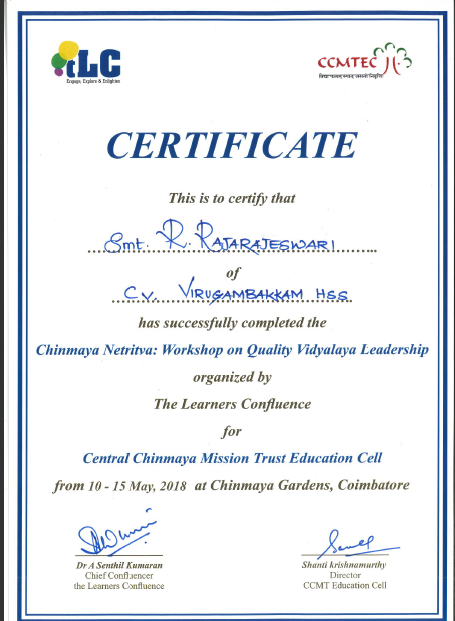 Smt Raja Rajeswari, Vice Principal of our Vidyalaya participated in the “Total Quality Management Leadership Programme” conducted by CCMT education cell at CIRS – Coimbatore. 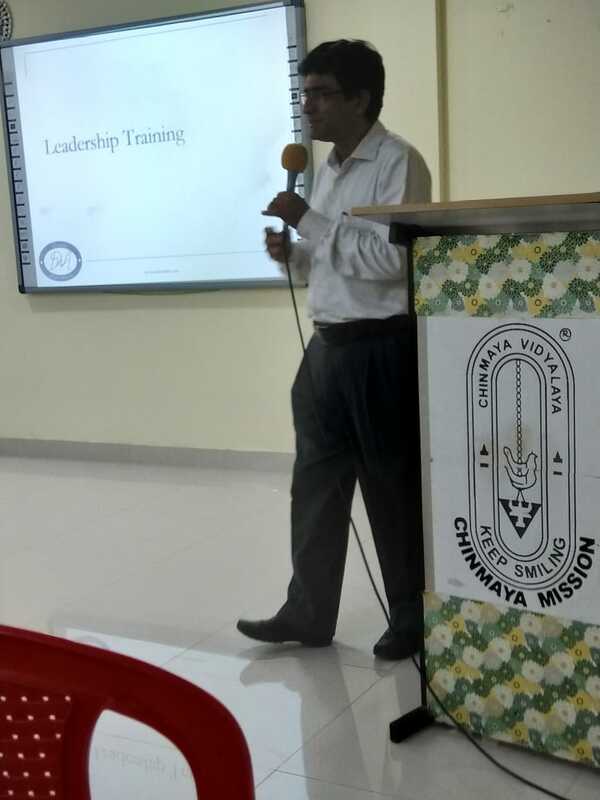 The workshop focused on the needs of stake holders, good governance, administration and leadership role in the vidyalayas. 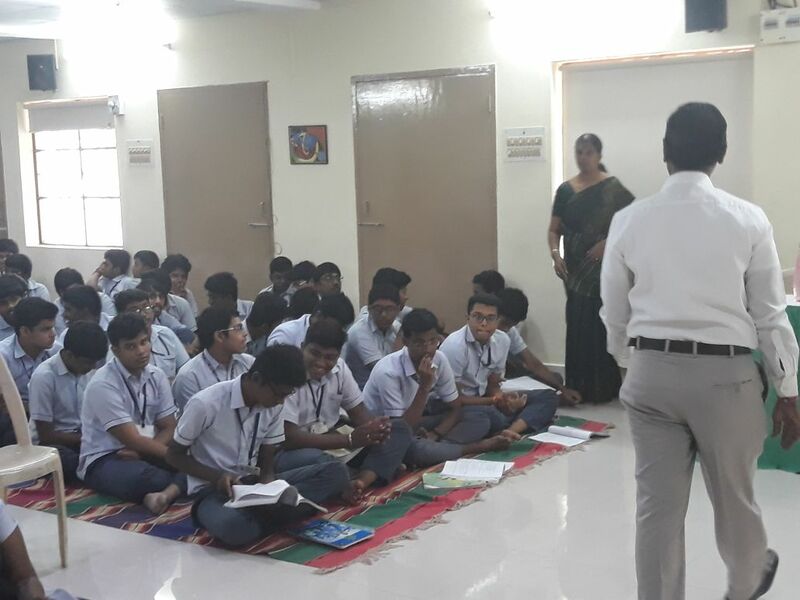 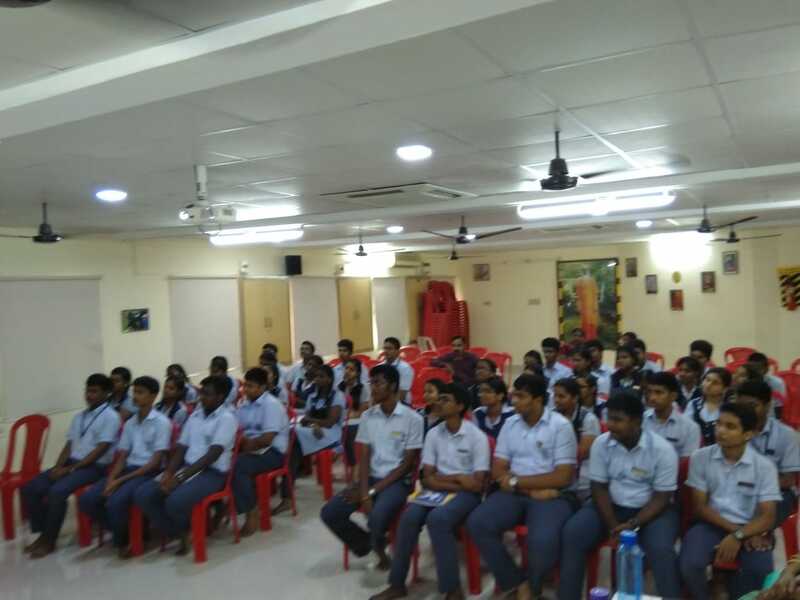 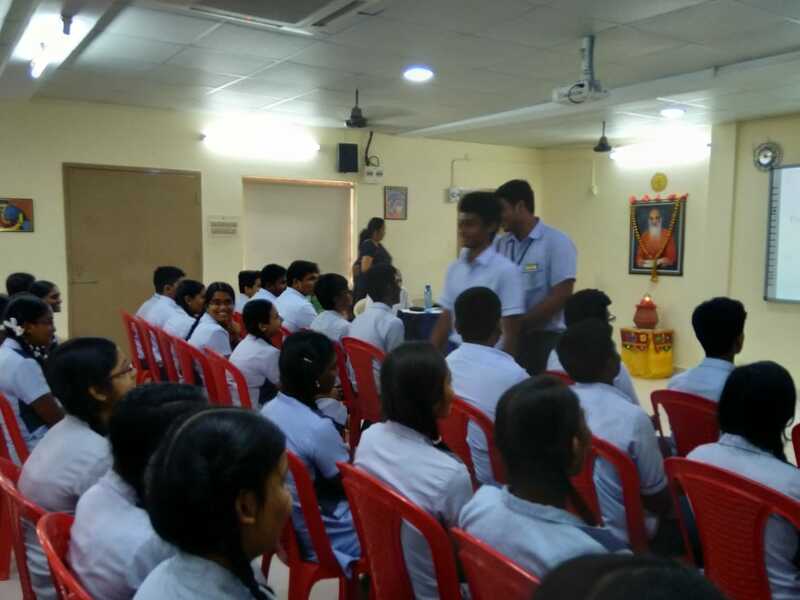 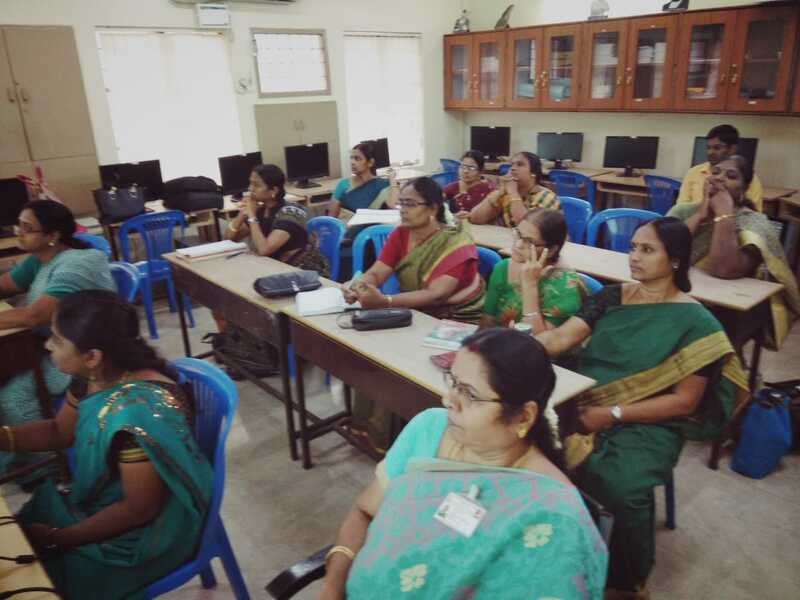 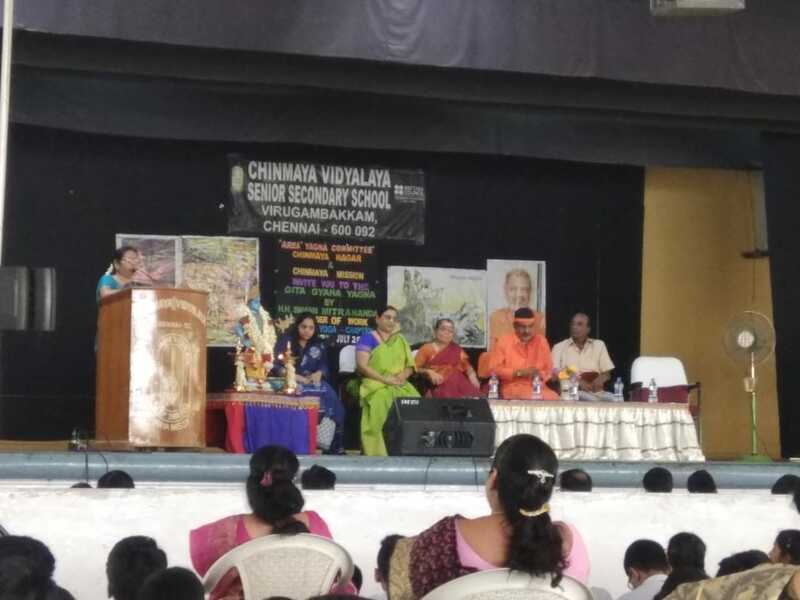 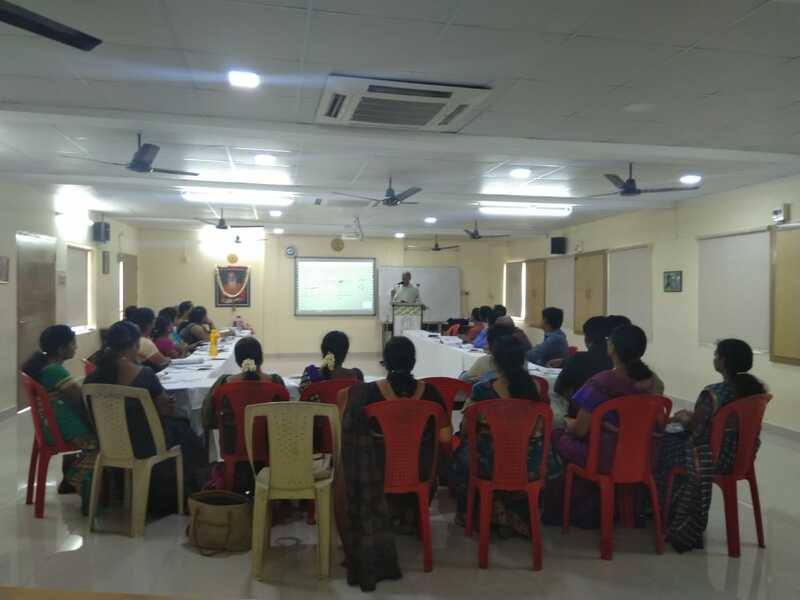 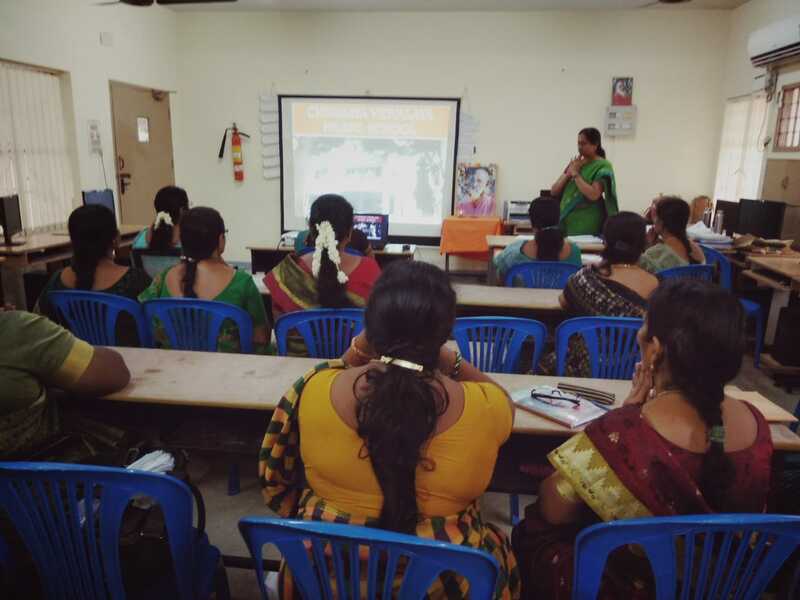 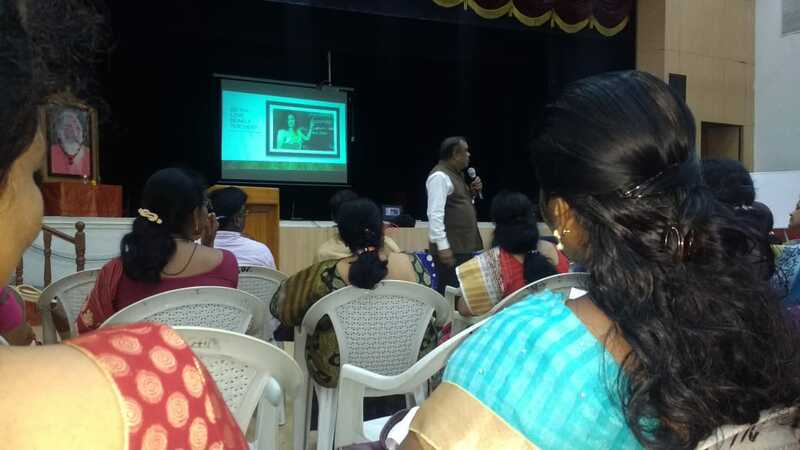 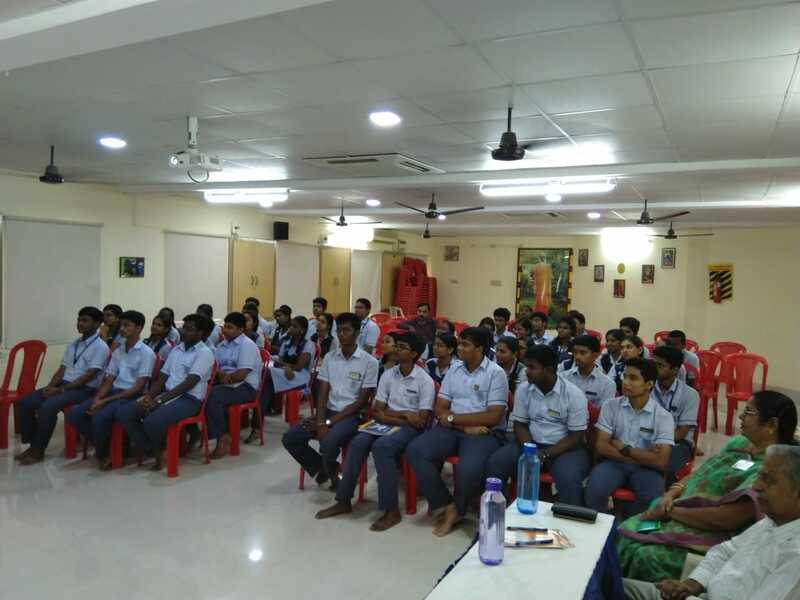 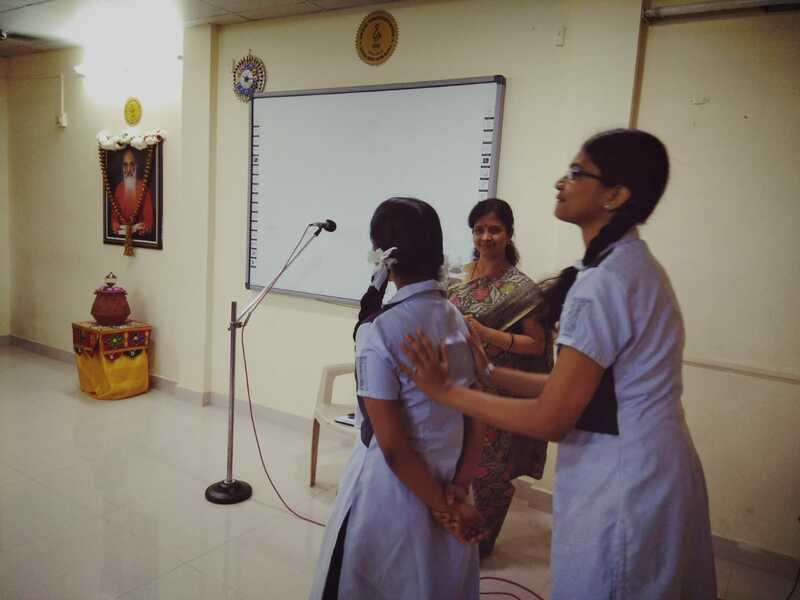 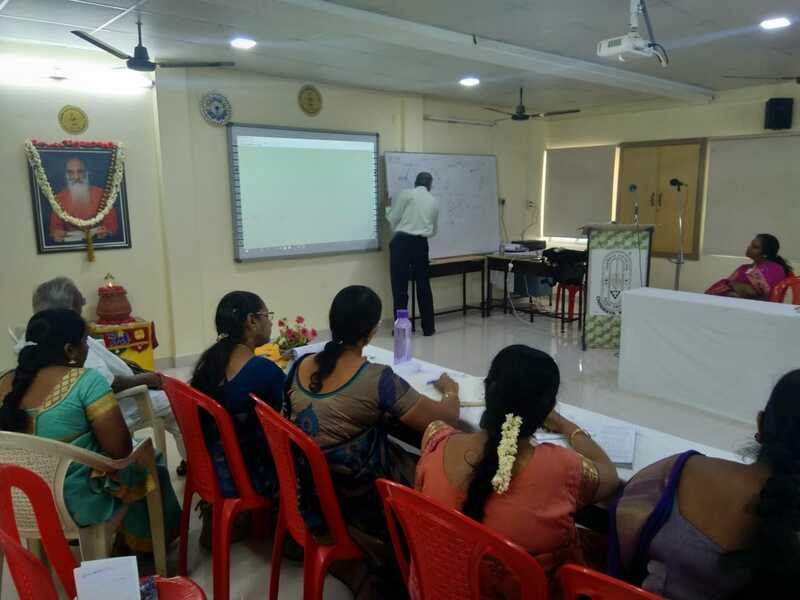 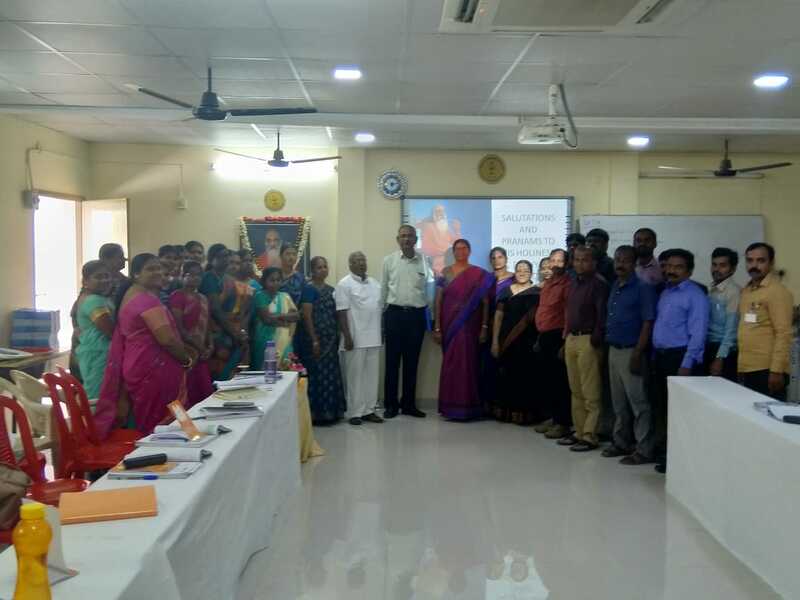 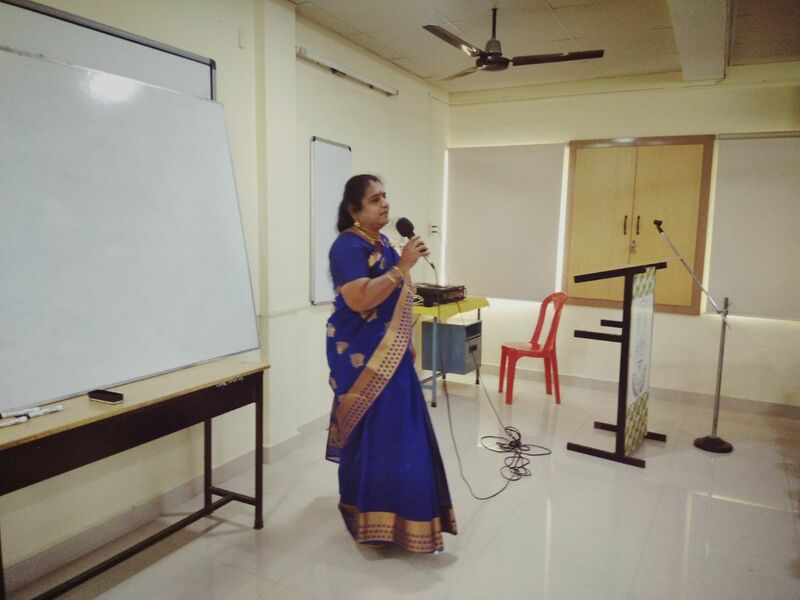 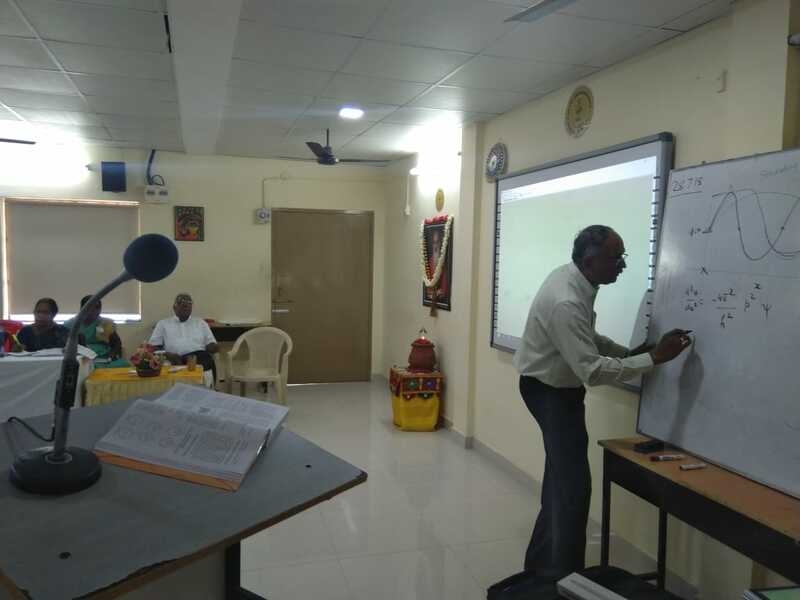 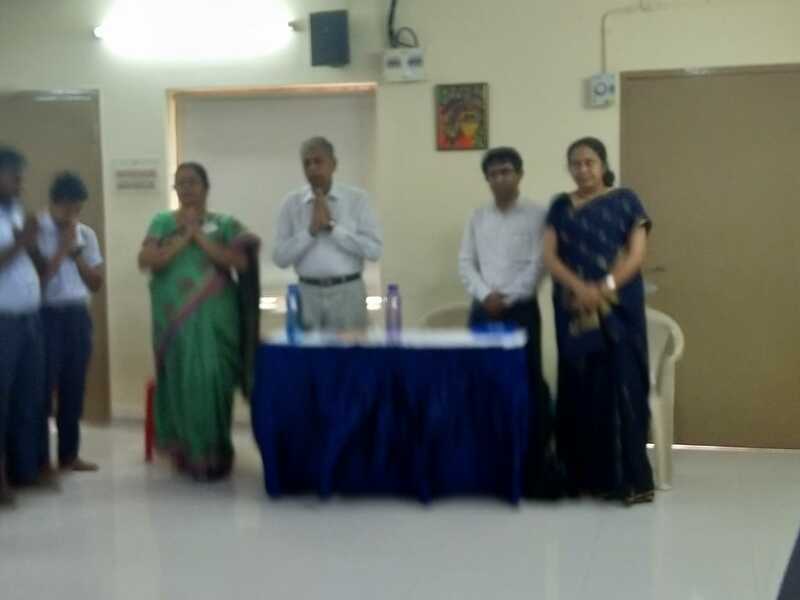 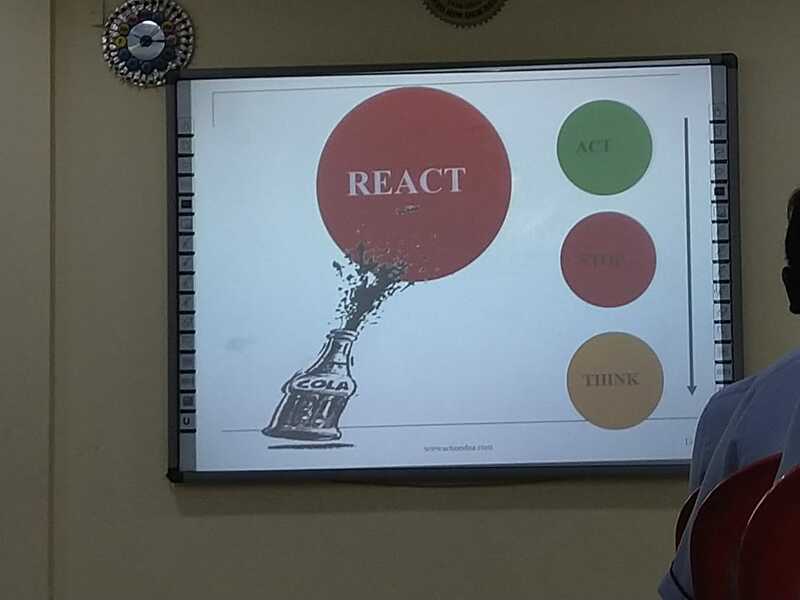 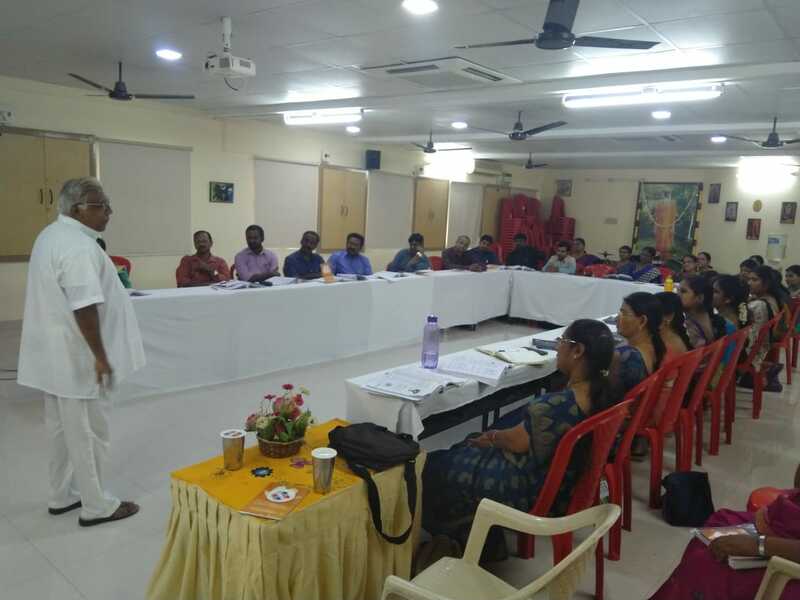 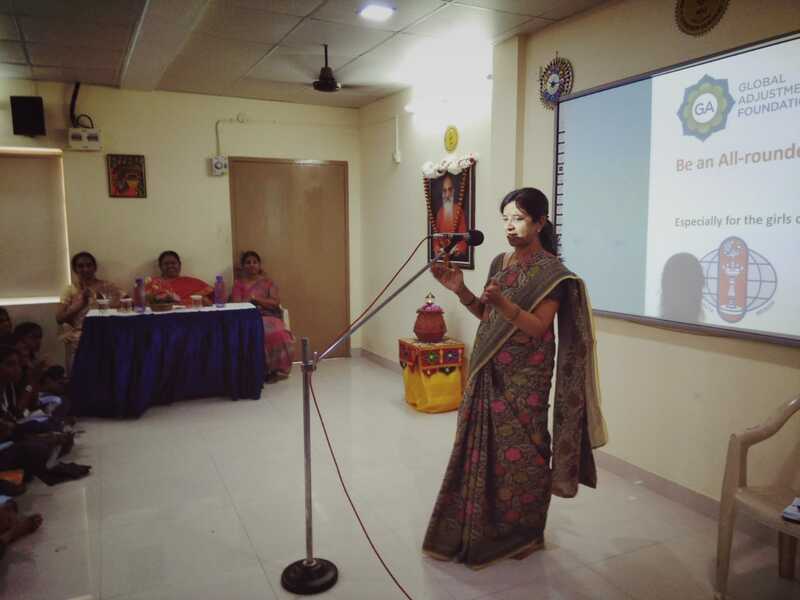 “Emerging Challenges to Learning Culture” – a workshop for all the Chinmaya Vidyalaya Teachers on Pedagogical tools and techniques was conducted at taylor’s Road in the month of June. 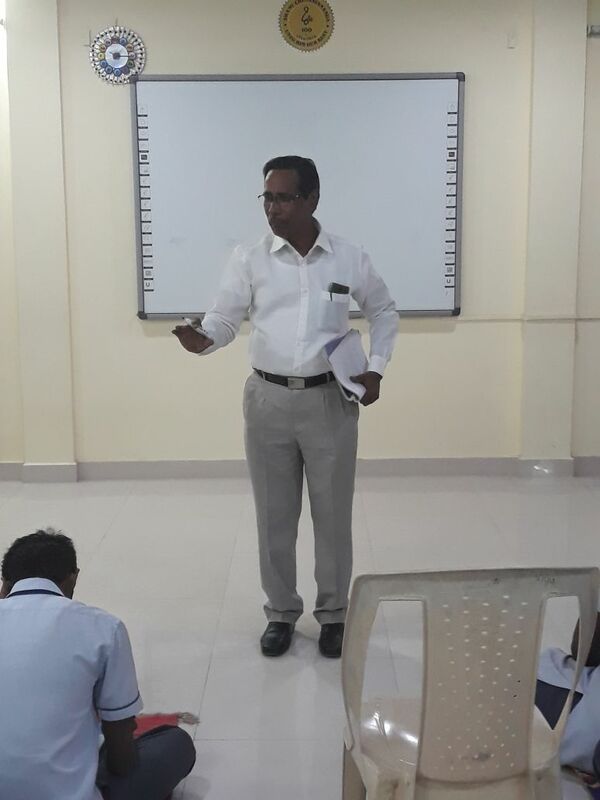 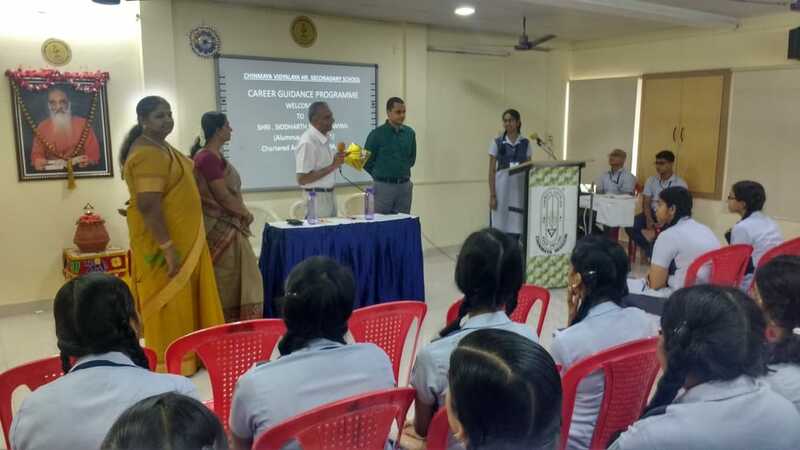 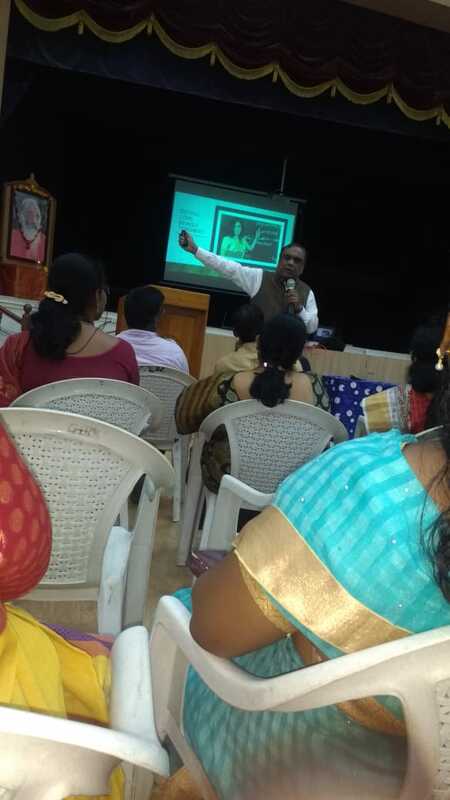 Mr G Balasubramaniyan addressed the teachers on the topics …..
Role of the new generation teachers. 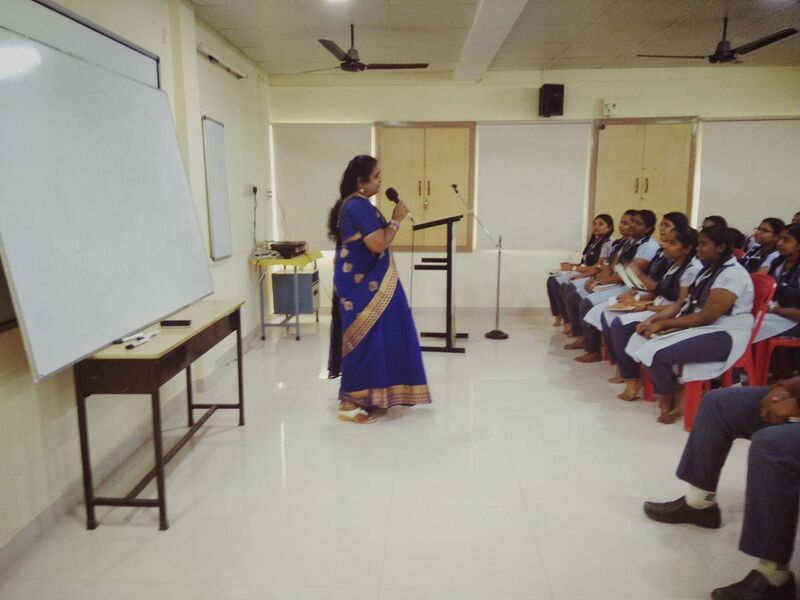 Challenges of 21 st generation teaching – learning process. 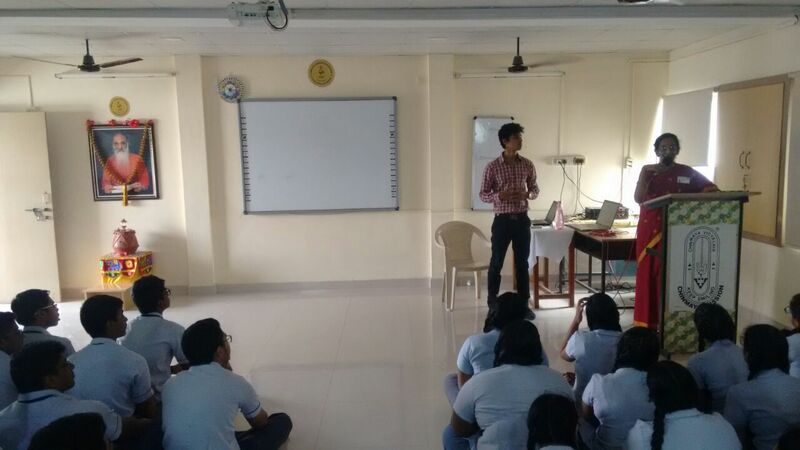 The psychological aspects of the students was the highlight of the session. 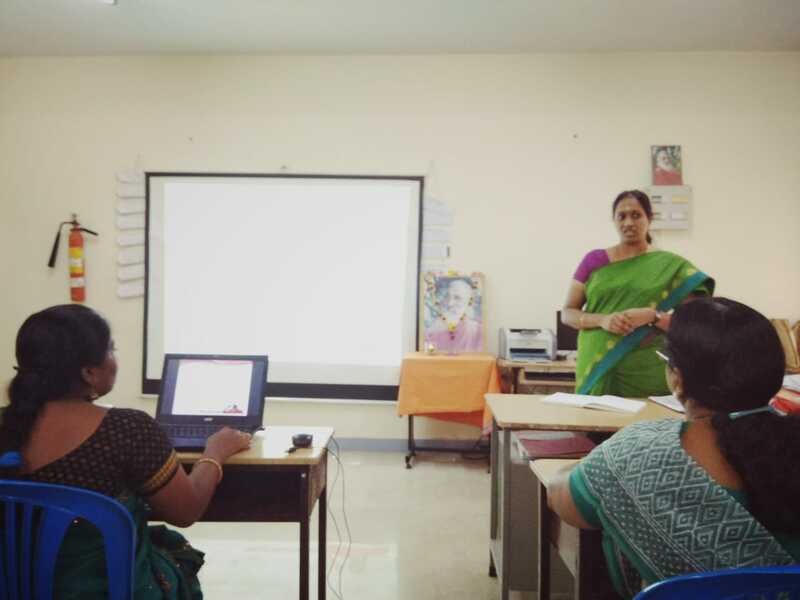 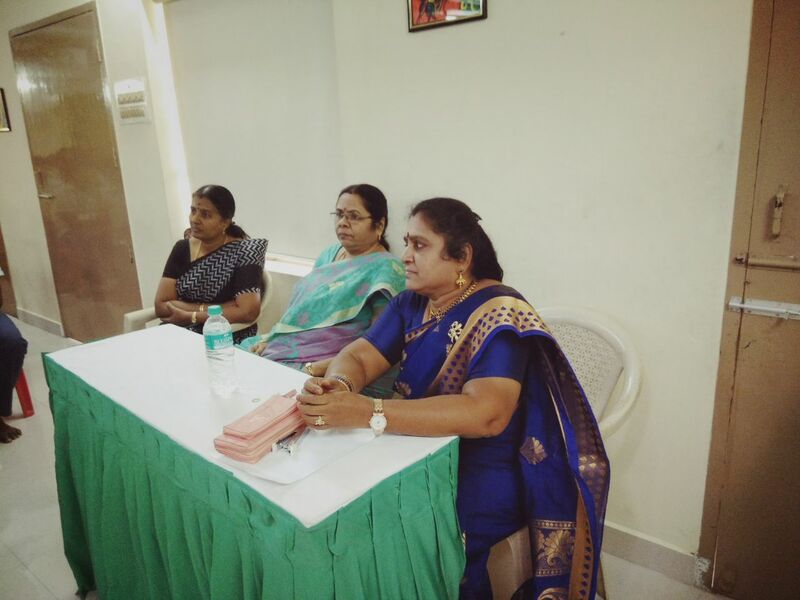 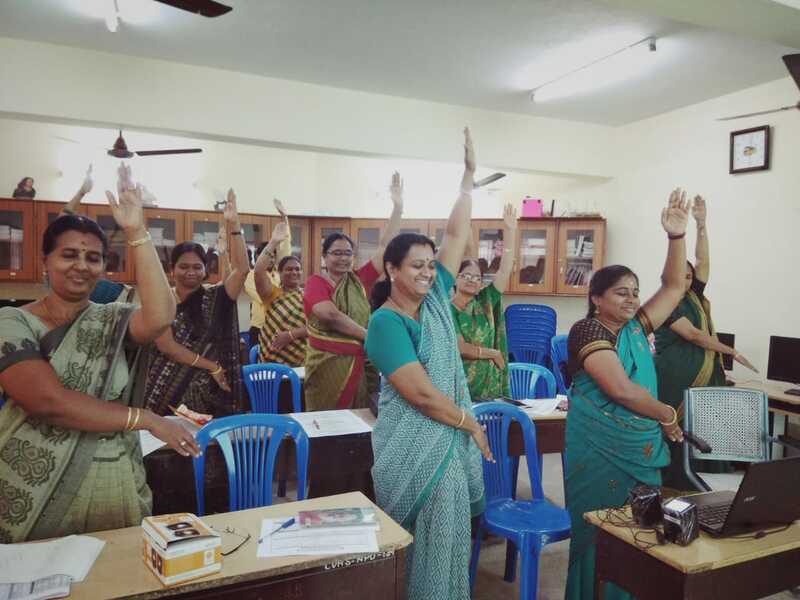 From our Vidyalaya the new teaching staff – Smt HemaMalini, Smt AndalVishnu Priya, Smt Periyanayagi and Smt Rathna Sarvotham attended the workshop.